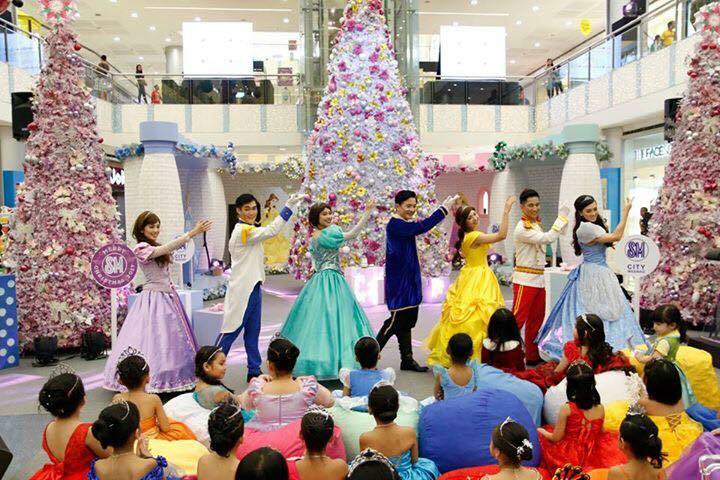 Dream of Christmas Magic just took place over the weekend at SM City Masinag. If you happen to swing by SM City Masinag over the weekend, you would not miss the gathering of the most-loved Disney Princesses and the equally stunning little princesses donned in their royal robes. The Disney-themed Christmas was highlighted by the castle centerpiece featuring the Disney Princesses: Ariel of The Little Mermaid, Cinderella – Belle of Beauty and The Beast, and Rapunzel of Tangled. Miss Universe 2013 3rd Runner-Up Shamcey Supsup-Lee, with her daughter adorbs Baby Nyke, also graced the SM City Masinag “Dream of Christmas Magic” show, and surprised the little princesses. Performers from Madison Events also did not disappoint. It was a special night of magic for those who came to witness. Santa Claus was also around to give special presents to kids who made it to the event. SM Masinag is also launching the Bears of Joy, SM Supermall’s charity program when shoppers get a chance to participate by purchasing a pair of Christmas Teddy Bears for P200 from the “Bears of Joy” booth. One of the two bears will be donated to a selected charity of SM Masinag, while the donor will take home the other one. Make sure to follow SM Masinag on Facebook, Twitter, and Instagram for updates.